Dallas travelers may soon enjoy more nonstop flight options to business-centric airports closer to home at Dallas Love Field airport, a less than 6-mile drive from Museum Tower Dallas. Virgin America, which prides itself on upscale service and progressive amenities--in-flight WiFi, seatback entertainment and plugs at every seat, to name a few--is setting its sights on making the move from Dallas/Fort Worth International Airport to Love Field. If the carrier wins its bid on acquiring two gates, Virgin should make the move in October 2014. The airline will offer more services at Love Field than D/FW. Virgin only operates flights to Los Angeles and San Francisco out of D/FW. It would expand its service at Love Field with daily nonstop flights to major business destinations--LaGuardia airport in New York, Ronald Reagan Washington National Airport in D.C. and Chicago O'Hare International Airport. It also has plans to increase its flights to both Los Angeles and San Francisco. 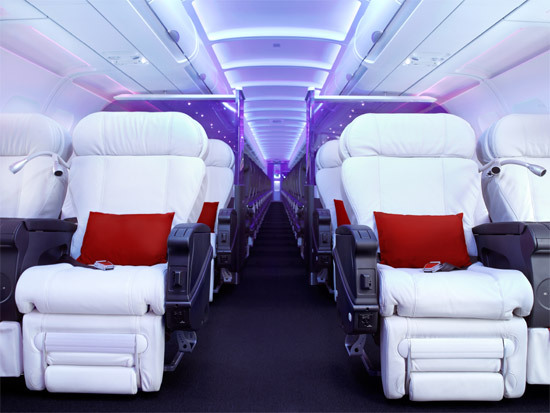 Virgin America's official announcement can be found online here.